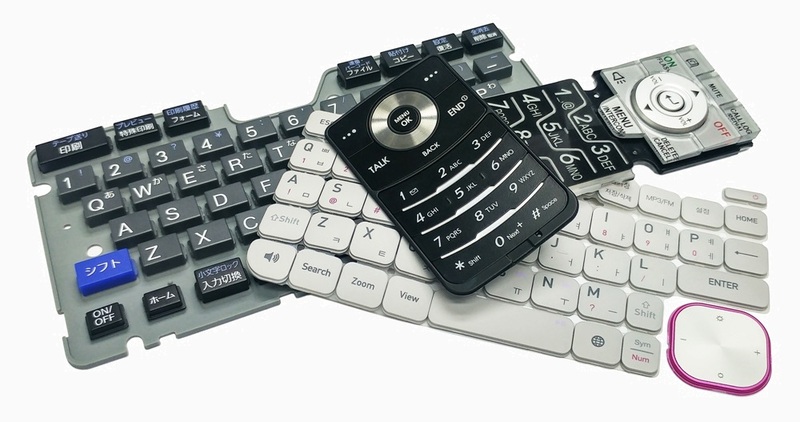 Plastic & Rubber Keypads ( P+R keypads ) mainly consists of plastic key top / key cap in combination with silicone keypads to form sub-assembly, combining the benefit of plastic keycap with the elastomeric and properties of the silicone rubber. To improve the light distribtion, it is good to apply light guide film on the rubber keypad. It will reduce the number of LEDs and spreading the light evenly on the keypad. It serve the purpose for environmental-friendly, energy-saving and cost optimization. Light Guide Film is a very thin sheet and can even be applied directly over metal domes.